My Nana used to make the most amazing dinner concoction: stuffed meatloaf. When I was a kid I saw this as the culinary version of a ship in a bottle. I just couldn’t figure out how she got the stuffing into the meatloaf. Magic! Even though I now understand the mystery of the meatloaf, there’s still something magical about putting a food inside another food (see: turducken). 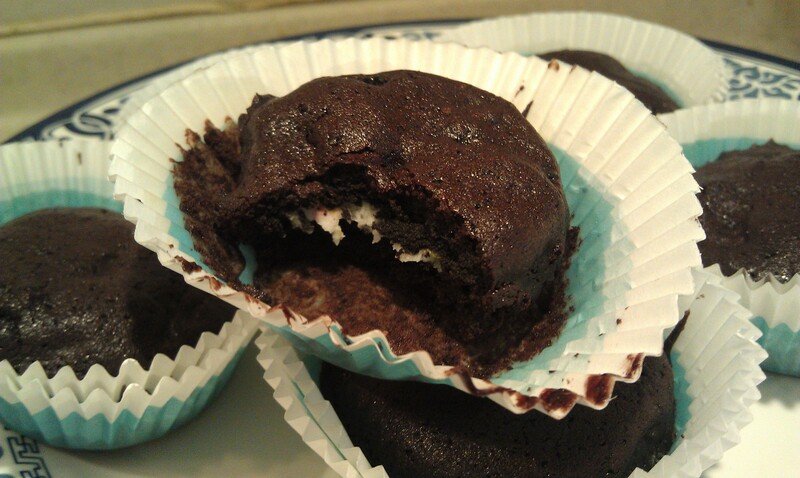 So, when I saw this Picky Palate recipe for brownie covered Oreos a few months ago I knew that I had to give it a whirl. 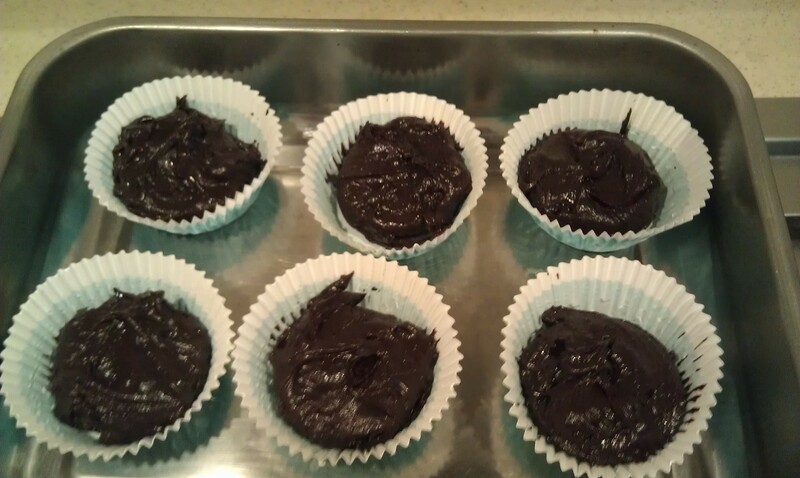 I’ve supplied these single-serving happiness pucks for a few friends’ birthdays (using birthday cake flavored Oreos, naturally), but out of laziness I’ve always made them using boxed mix. This weekend my new high-tech countertop oven arrived and I was dying to take it for a spin. A request was made for my brownieception, and I was more than happy to oblige. I decided that if I was going to use the digital marvel, then I owed it to the glorious machine to only feed it my best ingredients. This meant making the brownie batter from scratch, rather than dumping mix in a bowl. While I would normally guard my best recipes like secret files, this turned out so exceptionally well that I felt as though I needed to share. 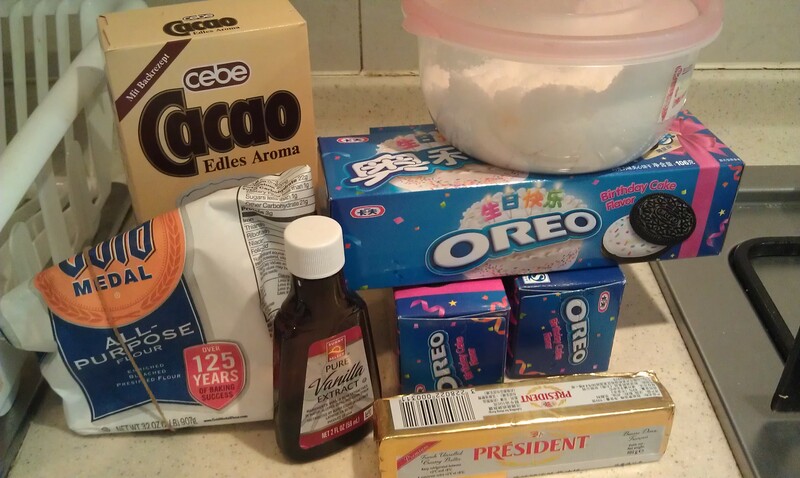 The brownie batter is made by mixing these ingredients together in the order listed. To achieve brownieception, just follow the instructions in the link above. To bake regular brownies, pour this batter into a greased square pan and bake at 350 for about 25 minutes. If you’re just making the brownies (sans cookies), they can actually handle up to a cup of other ingredients, like nuts, dried fruit, marshmallows, etc. It’s a good base recipe for brownie experimentation.